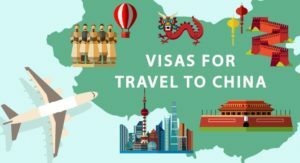 Being an Indian, if you are willing to travel to China then you must have an approved China Visa and complete all the requirements by Embassy of the People’s Republic of China in India. If you are an Indian passport holder and want to enter China then you require Entry Pass/ Visit Visa. Whether your purpose to visit China is tourism, business, study or employment as per the requirements of Embassy of the People’s Republic of China, Applicant must fulfill the basic required documents formalities before going to China. As a Tourist (Category – L): This tourist visa is issued to those applicants who are traveling to China for tourism purpose. Exchanges, visits, study tours and other activities (Category – F): Business Visa Applicable to those applicants who are invited to China for exchanges, visits, study tours and other activities. Employment (Category – Z): Applicable to those applicants who are taking up a post or employment in China. As a student (Category – X1 & X2): Student Visa Applicable for those students who are willing to study in China. Transit (Category – G): Transit Visa issued to those applicants who are traveling through China en route to the other country (or region). Permanent Residence (Category – D): This PR Visa is applicable to those who are willing to reside in China permanently. As an Indian citizen who is willing to visit China for tourism purpose have to arrange the following documents for the tourist visa. Passport: Original Passport with at least 6 months of remaining validity & two blank pages. Photographs: 2 recent color passport photo with dimension (48mm x 33mm). A complete travel Itinerary including air tickets bookings & hotel reservations. In case of invitation from China: A letter of invitation from China stating applicant’s name, gender & date of birth. A complete detail of trip & accommodations arrangements with contact information of invitee. Information of the inviting party (incl.name, contact telephone number, address, stamp, the signature of the legal representative or individual). Applicant has to visit the official website of China Visa Application Center (CVAC) – http://www.visaforchina.org/ to fill up the application form. CVAC provides all type of China Visa application services, right from filling up the application form to following the schedule of the collection of the passport. An Applicant can apply for China Visa offline also. Applicant has to download the visa application form from http://www.visaforchina.org/, fill it properly and submit it to the CVAC. Now as an Indian applicant for China visa, if need any assistance or support feel free to contact our visa expert or visit us. Our experienced visa consultant would love to help you with your China visa application along with other services like Flight tickets, hotel bookings, Travel Insurance or Forex.